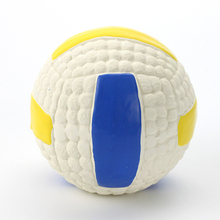 Description 1 : The balls are BPA-free and 100% safe for all pets. 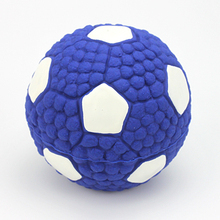 Pet Toys Balls – Flexible LATEX material, Refreshes breath and promote healthy teeth,stimulating play by squeaking when chewed or squeezed play. Creats positive association with toy and reduces anxiety and boredom. Highly Visible – Brightly Colored So you and your pet never lose track, no matter where you toss it! 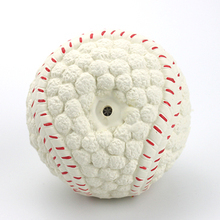 Squeaker – Squeaking sound provides hours of entertainment, Loud internal squeaker and gum-massaging spikey texture! 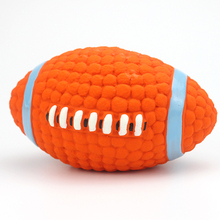 High Quality – The material used for these pet toys is high quality, all-natural rubber with no toxins or harmful compounds. The balls are BPA-free and 100% safe for all pets. excellent, with this .. all walks shepherd absolutely love my .. .. умолкают no sound toy ball (it with whistle inside), store recommend! ball classy. our вестик playing with it every day and month as it has not pulled пищалку so far and (other вытаскивал relaxed).